The dying shaman, Wa-Tan-Peh, gave young Lakota Russell Red Horse, nicknamed Ozark (because he was raised in the Ozark Mountains), a magic amulet that enabled him to summon Mustang, the sacred horse who is the mystic embodiment of his people. 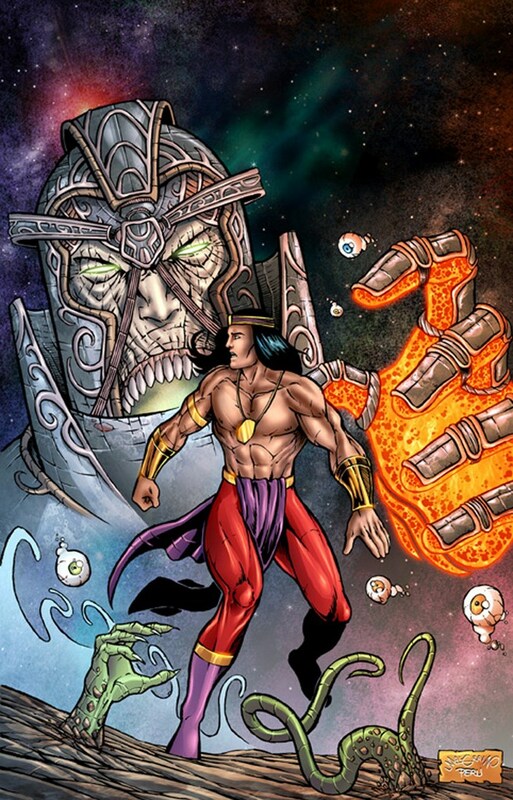 Ozark then shared his life with the Magic-Circus, alongside whom he fought Senator Kreagan, the evil god Typho, and Dr. Kain. 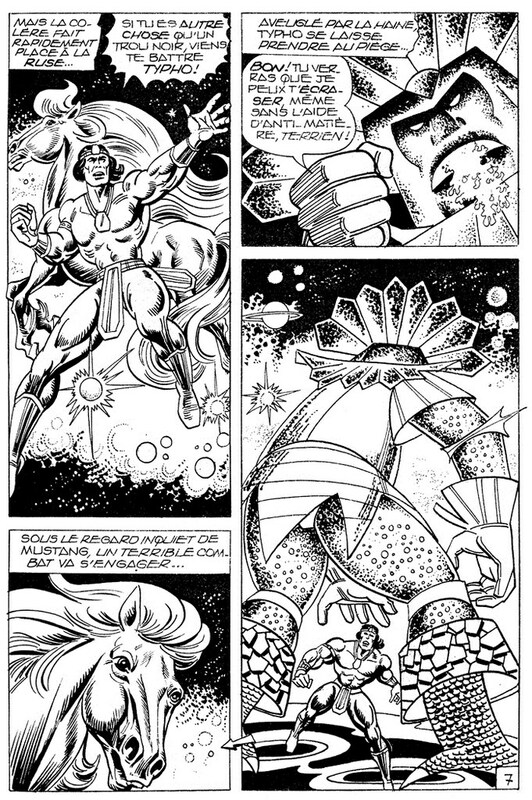 During a battle against Kreagan's extra-dimensional allies, the Ur, the Magic-Circus were killed and Ozark was saved thanks only to the intervention of Zembla. That battle was a prelude to the search for the seven gems known as the Hand of Shivar. Ozark, now a master magician, met the young French mystic Doc Zarbi, fought Wa-Tan-Peh's own grand-son, Dark Wing, and finally the evil sorcerer Maleficus who coveted the Hand. 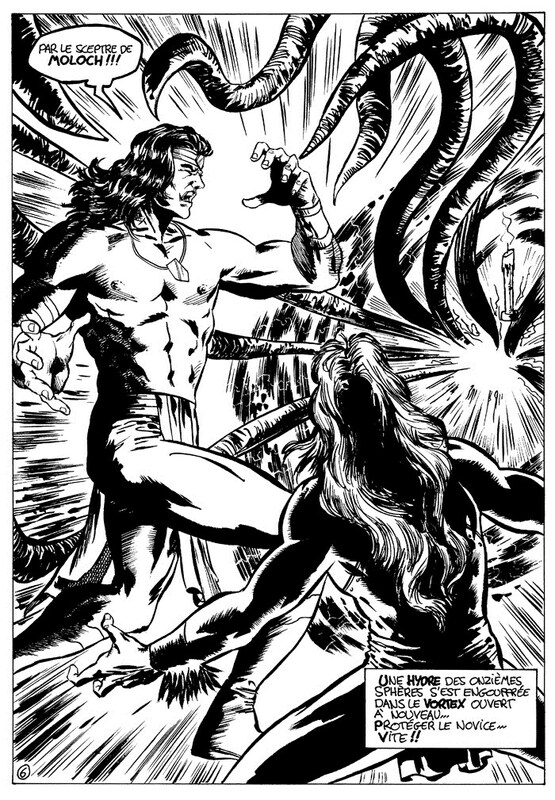 Ozark was confirmed in his powers and mission by the goddess Shakti. 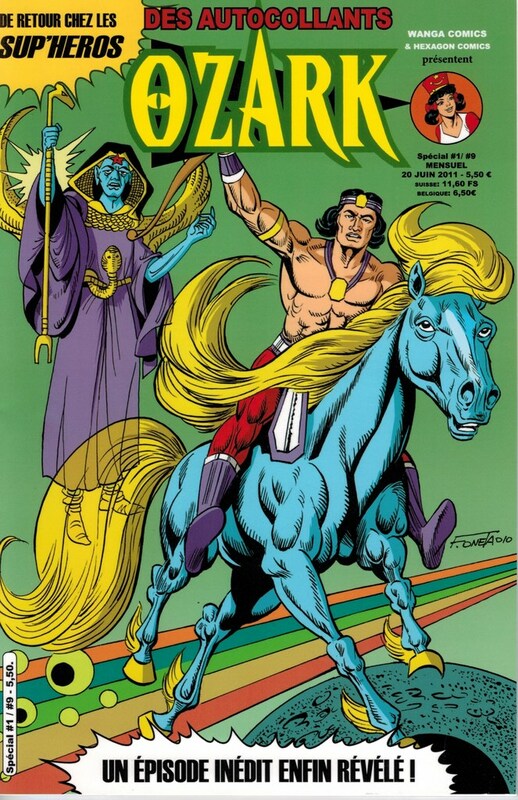 More recently Ozark teamed up with Futura to challengre the power of the god Coyote, and with Sibilla, Man and the Metal Man (as The Enchanters) to stop the mage Mephis and the dark goddess Aruna.